Just a quick peek at some of the work we are doing for one of our long standing client for a rather prestigious job. A significant raised walkway with three access points . 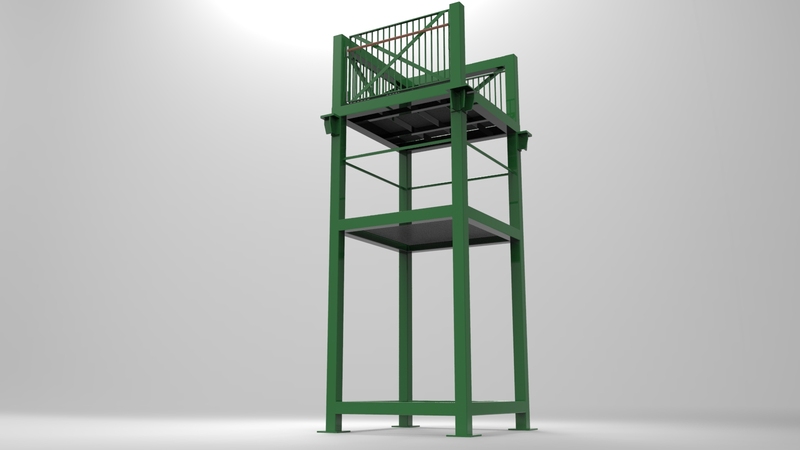 The image below is of one of the raised 'Tower' sections that connect the various walkways and staircases together. Our Etsy Store Has Gone Live!! Just a quick update to say our Etsy webstore has finally gone live - looking to see what products we have in stock and ready to print, check it out! Alongside a lot of 3D Printing work, we also do corporate and commercial product visualisations. For this particular client, we are working on a Steel Truss Bridge, which will be replacing an aging wooden structure, but needs to maintain the same asthetics as the original. To help ensure the design matches expectation before heading into manufacture, we can produce renders like the one seen below that bring a design to life far better than flat 2D CAD data, and basic Isometric models. Short Descriptor Test - Click to read more!